As many of my wonderful writing clients know while I started my career working with pro show-jumpers much of my adult life has been centered around X and the center line. It is probably not a huge surprise to hear that articles on all aspects of dressage training, from birth to finish, are some of my top sellers. To address this need I have been busy. 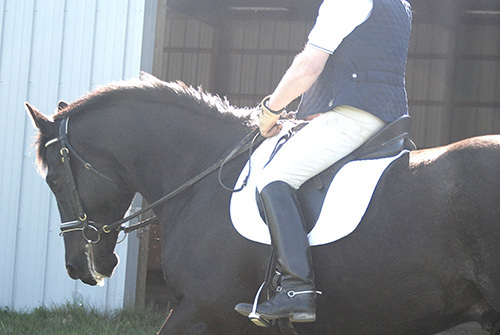 Please take a trot over to my store while you will find ten fresh First Time Rights articles that cover how to make things go sideways on purpose, how to extend your reach and just what to do to make the walk work, among other dressage aficionado topics. And do not forget if you are interested in a regular dressage column for your readership, I also offer a column called just that, The Dressage Aficionado. If you feel like your publication has been pirouetting around in circles recently and would like some salient advice with a salt of humor in your next feature then do not be shy to say Hi and buy. Feature article turnaround time is less than 72 hours, word counts 1500-2500 and photos are available for a nominal additional cost. A one-stop shop.